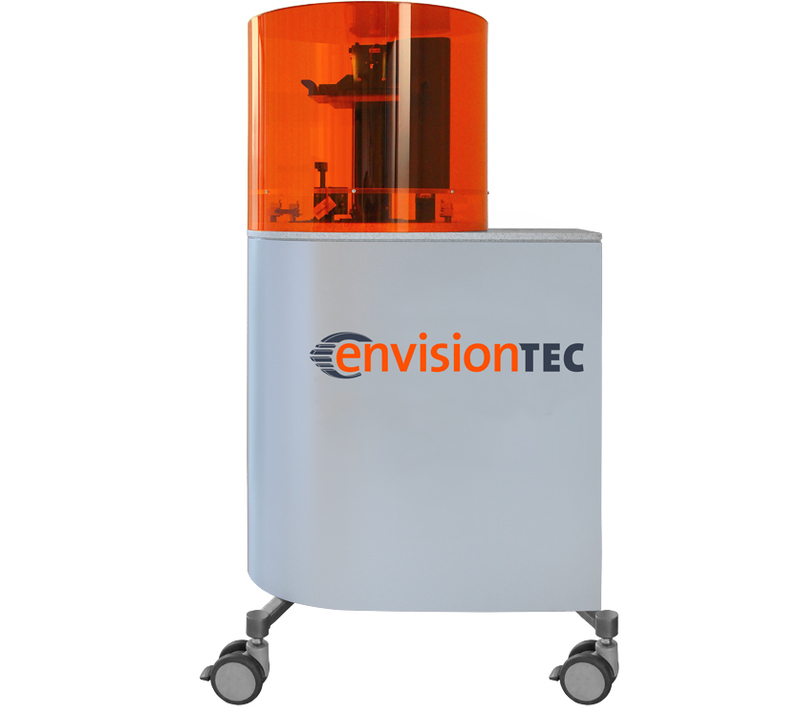 The Perfactory Vida Hi-Res is a low cost, high resolution, easy to maintain and user friendly 3D printer for the digital dental laboratory. The Vida Hi-Res boasts a high resolution projector running at 1920 x 1080 pixel resolution with custom UV optics. Once the print job is preprocessed on a computer housing the Perfactory software suite, it is transferred to the machine via Ethernet or USB and can run independently without the need for continuous connection to the preprocessing computer. 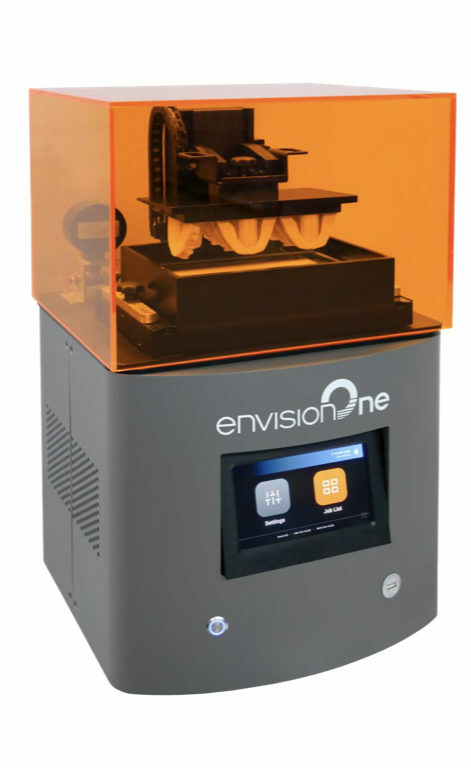 The surface quality of the printed models allows for production with no signs of stairstepping, unlike the visibility when using competing technologies. The 50 µm (0.002 in.) 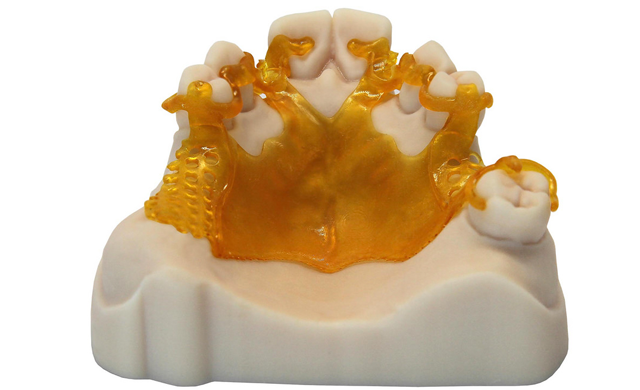 resolution of the Perfactory Vida Hi-Res allows dental labs and practices to produce high quality crown and bridge restoration work including models with removable dies, crown, inlays and onlays, crowns, bridges and veneers for the fabrication of indirect restorations using a casting or pressing method. 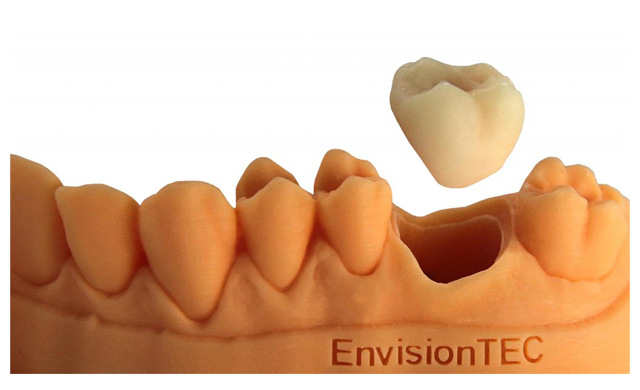 EnvisionTEC 3D-printers for the dental industry, the Vida is extremely versatile. 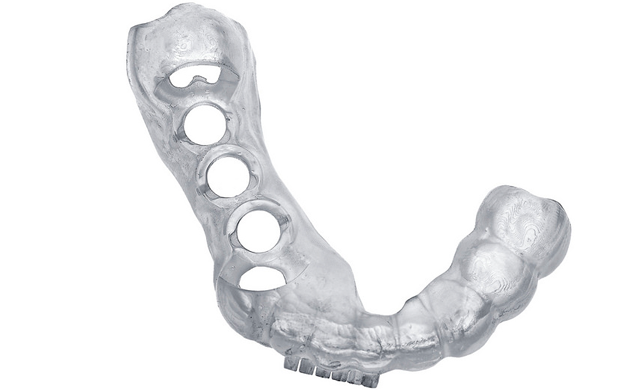 Perfect for small dental labs or practices, the Vida is capable of printing dental or orthodontic models, surgical guides, partial frameworks, and bite guards. For those in need of a large build area and a higher resolution of 50 µm (0.002 in. 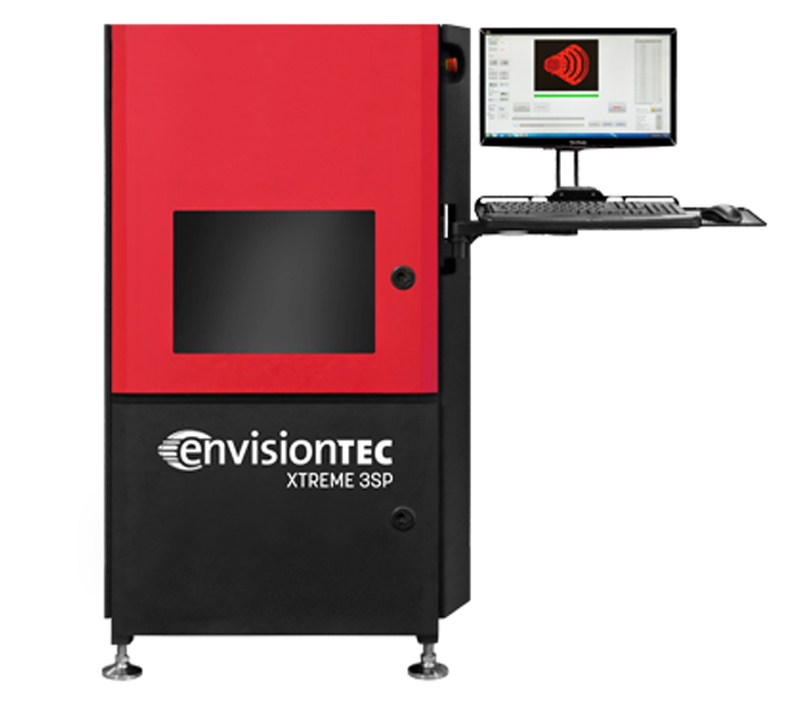 ), the Xtreme 3SP Hi-Res is the ideal solution. 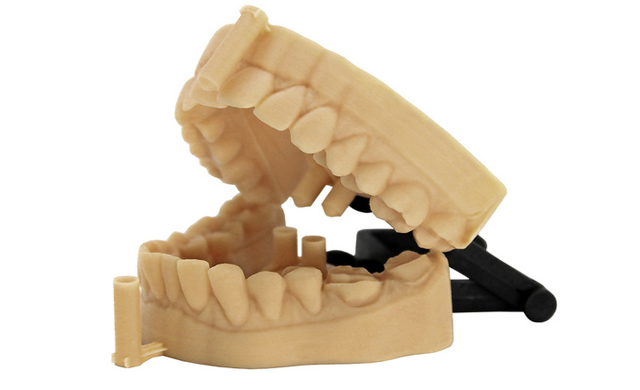 From prototypes to production parts, the Xtreme 3SP Hi-Res provides excellent surface finish and detail. The Vector Hi-Res 3SP is ideal for those who need large parts up to 30,316 cubic cm (1850 cubic in.) with a resolution of 50.8 µm (0.002 in.). High detail parts with smooth surface finishes make the Vector Hi-Res 3SP an ideal option for a wide variety of applications aligners.